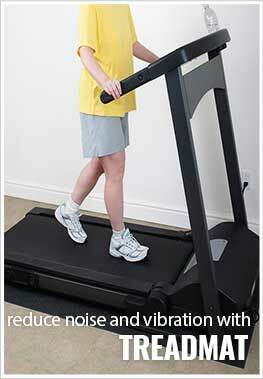 Helps reduce noise and vibration. Description - Activate more muscles and burn more calories when you step up on the CardioHIIT Trainer Pro. HIIT, or High-Intensity Interval Training, is a training technique that involves repetitively giving 100% effort for a set amount of time followed by short recovery periods. The ProForm® CardioHIIT Trainer Pro combines a smooth 10-inch vertical elliptical path with powerful upper-body movements to simulate stepping while boxing, getting your body sweating, and burning calories throughout your workout and beyond. Put your joints at ease while giving your legs a challenging workout. Unlike other stepper machines, the CardioHIIT Trainer Pro is designed with a 10-inch vertical and a 5-inch horizontal elliptical path that makes each step feel natural and comfortable. Work your body head-to-toe as you say goodbye to calories, and hello to a totally new you. The CardioHIIT Trainer Pro gives you a full-body workout in just minutes, allowing you to activate your calves, hamstrings, quads, glutes, biceps, and triceps—all in a single movement. Resistance training strengthens bones, improves balance, benefits your heart, and helps you lose weight to make you look and feel better. And now you can do it all from the comfort of your home. With 26 digital resistance levels, the CardioHIIT Trainer Pro allows you to start out easy and progress to intense. Each level is smooth, frictionless, and silent with our patented SMR™ Silent Magnetic Resistance. Dimensions (L x W x H) 66.7" x 29.25" x 52"
10” Smart HD Touchscreen: Nothing says "me time" like enjoying your favorite website or YouTube videos as you work out. Our built-in full-color touchscreen display connects you to what you care about most. It's easy to check up on your workout stats as you go, too. Swipe through your speed, time, distance, calories burned, heart rate, and incline/decline stats. Now you can watch your fitness progress—and then tweet about it—all in the same place. iFit® Enabled: Making time for world travel is a challenge—but it doesn’t have to be impossible. Visit Paris, hike the Swiss Alps, or jog the Chilean coast with the iFit® Enabled* CardioHIIT Trainer Pro, powered by Google Maps™. 34 Workout Apps: When you step on the pedals of the CardioHIIT Trainer Pro, you get instant access to professional training programs fully loaded and ready to go. Now you can enjoy a challenging workout focused on your goals. Just press “Start” and you’re off. Integrated Tablet Holder: Turn fitness time into multi-tasking time. This device shelf keeps your tablet secure and conveniently close so you have access to all your training tools and entertainment must-haves. EKG Grip Pulse Heart Rate Sensor with Included Chest Strap: Make the most out of every workout by monitoring your heart rate with the built-in handlebar sensors. They will ensure you are in the right training zone for your goals. If your style is hands-free, the included wireless chest strap is a comfortable solution that accurately transmits your heart rate information to the console for easy viewing. Multi-Function Handlebars: Our workout arms take your fitness from the straightforward lower-body workout of the treadmill to the total-body elliptical experience. By adding resistance and movement to the upper-body, you challenge your arms, shoulders, back, and core with each step. iPod® Compatible Audio: Move to the beat of your favorite music with this built-in sound system. Plug your iPod®* into the Intermix Acoustics™ Sound System and rock out with your favorite power music through dual 2” speakers. iPod® is a trademark of Apple, Inc., registered in the U.S. and other countries. iPod® not included. CoolAire™ Workout Fan: Keep cool with this built-in fan that features two-speed settings. Quick console controls allow you to adjust the speed at any time. 30 Lb. Effective Inertia-Enhanced Flywheel: Experience a smooth, steady pedal stroke with a flywheel that’s made to perform. A faster gear ratio and effective weight placement deliver a more natural striding experience. Oversized, Cushioned Pedals: These large pedals allow you a number of foot positions and provide important stability as you exercise. Commercial-Grade Steel Construction: Made from commercial-gauge solid steel, the CardioHIIT Trainer Pro is built to last through your hardest workout sessions. Water Bottle Holder: Stay hydrated throughout your workout by keeping your water bottle close. This convenient water bottle holder is built-in to the elliptical for easy access. Front-Mounted Transport Wheels: Moving the CardioHIIT Trainer Pro out of the way is fast and easy with the front-mounted wheels. Oversized Leveling Feet: Keep your machine stable, even if it’s on an uneven surface, with the simple and adjustable, oversized leveling feet. 350 Lb. Weight Capacity: This machine accommodates up to 350 pounds. California Prop 65 Warning: Warning: This product contains one or more chemicals known to the State of California to cause cancer, birth defects, and other reproductive harm. Recommended For - The PRO HiiT Trainer is the perfect machine for anyone looking to burn more calories while activating more muscles than running on a treadmill or bike. This fitness equipment is great for any home gym or commercial gym. Large touchscreen for everything in one place. Perfect for full-body HIIT workouts. EKG grip pulse heart rate sensor with included chest strap. 30 Lb. effective inertia-enhanced flywheel. Climb to the top of the Swiss Mountains or jog the coasts of South America on this iFit Coach Ready HIIT Trainer Pro, powered by Google Maps. Customize your workouts with the ProForms unlimited programs designed by professional trainers. Create a challenging workout for your legs while putting your joints at ease with ProForm's HIIT Trainer Pro. Designed with a 10" vertical and a5" horizontal elliptical path, each step will feel very natural and comfortable. ProForm's HIIT Trainer Pro will give you a full-body workout in just minutes helping say goodbye to all those unwanted calories. Muscles that are activated with this machine include your calves, hamstrings, quads, glutes, biceps and triceps all in a single movement. Strengthen your bones, improve balance, benefit your heart, and lose weight with the resistance training provided by ProForm's HIIT Trainer Pro. With 26 digital resistance levels, this machine allows you to tailor your resistance level to your liking. Each level is smooth, frictionless, and silent with ProForm's Silent Magnetic Resistance.